The Canary Islands off the West Coast of Morocco offer a great choice for cycling training year-round thanks to their relatively warm climate when compared to the winters of Northern Europe. Lanzarote, as a result, has become a popular destination for cyclists and triathletes looking to soak up some sunshine while helping to develop their performance or testing out the roads of the prestigious Ironman triathlon course. Whilst not being known as a mountainous destination, the island itself was formed dramatically by volcanic eruptions which helped to develop the island's somewhat lunar landscape. 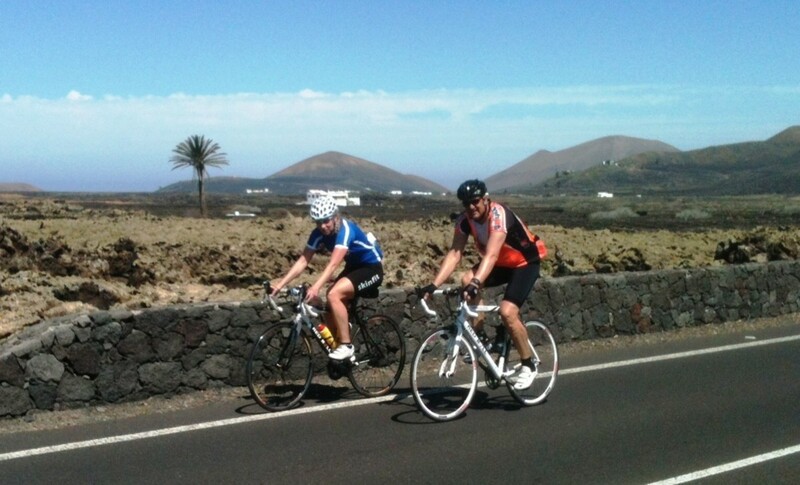 On Lanzarote many of the best climbs and cycling routes are dotted with volcanoes for added dramatic landscape effect. 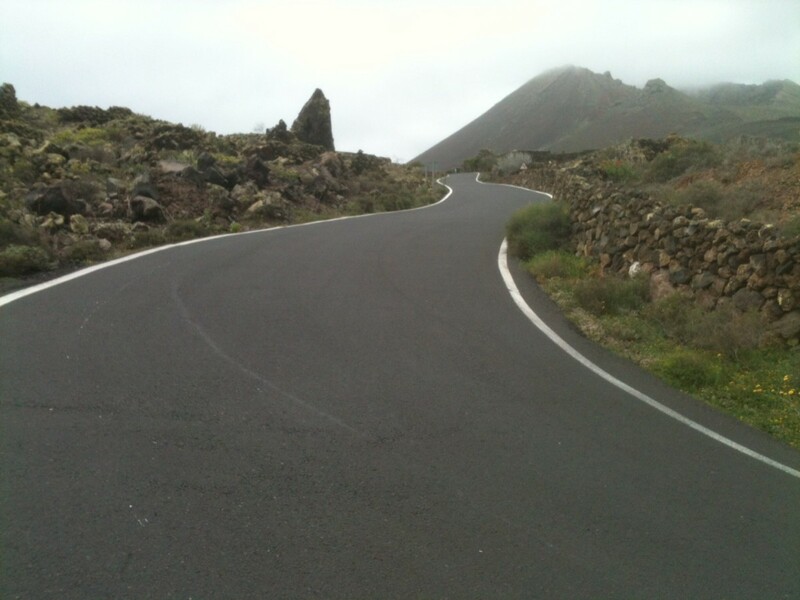 Whether you're staying down in Playa Blanca at the southernmost point of Lanzarote, at the La Santa sports complex to the West, or in Costa Teguise to the East, the majority of these climbs are well within reach of many a cyclist training on the Island. Tabayesco. 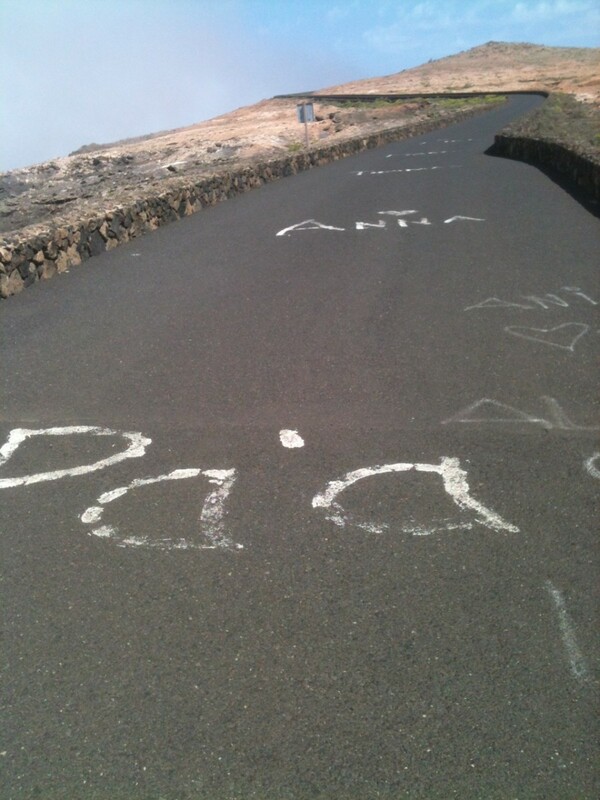 The longest climb on Lanzarote at just over 10km in length. Femés. 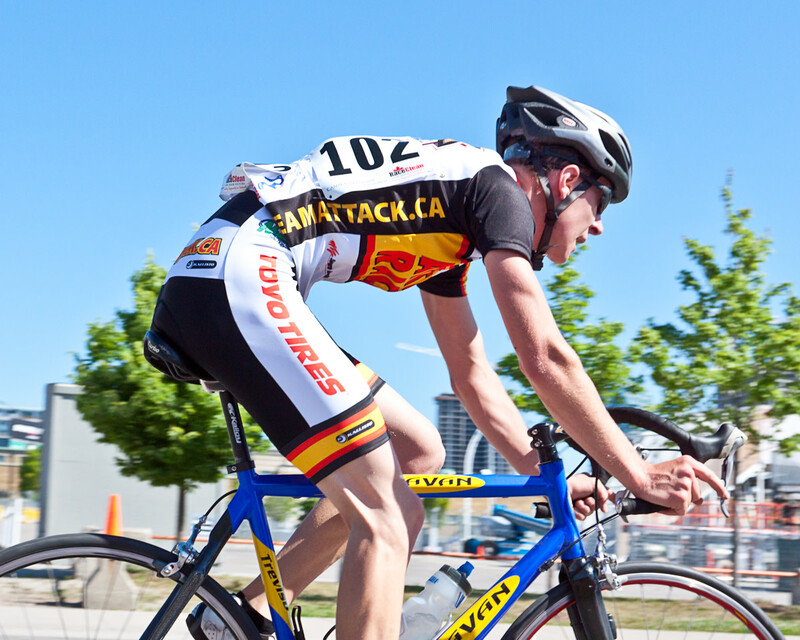 Arguably the steepest cycling climb on the island. Los Valles. From Teguise up to the highest point on Lanzarote. Orzola. From the Northernmost point on the Island at Orzola climbs a beautiful twisting climb the allows the option to further extend the climb up to the Mirador Del Rio. La Geria. 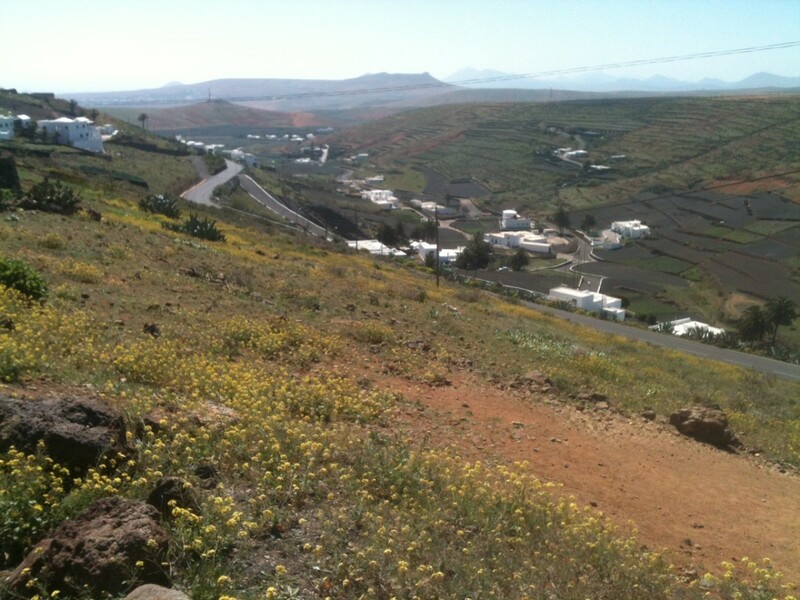 Snaking gradually up to the volcanic vineyards makes this one of Lanzarote's best cycling routes. Looking up the Tabayesco climb. 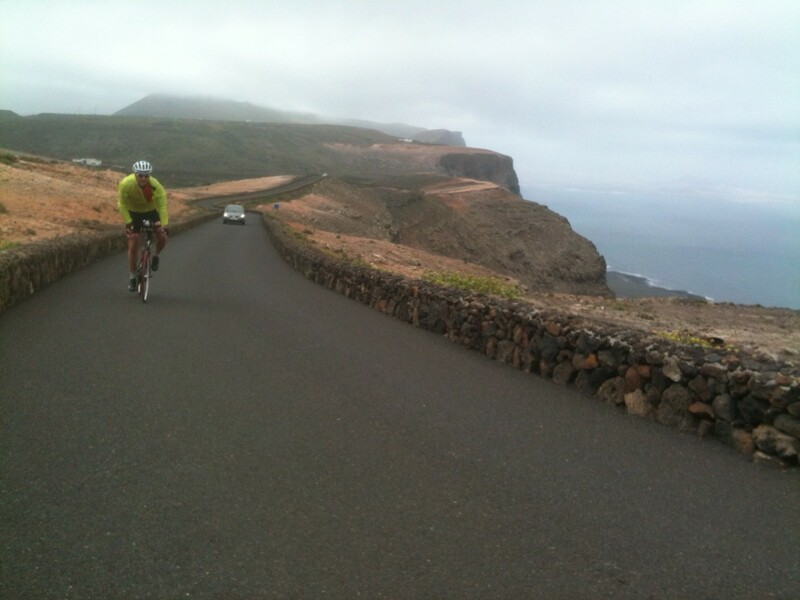 The Tabayesco cycling climb is the longest on Lanzarote and a great training route. It starts at the turn off of the LZ 1 road between the villages of Mala and Arrieta. Tabayesco village is signposted 1 km from the main road as the road drags into the village and continues to climb upwards. Tabayesco is the longest unbroken climb on the island at 10.5 kilometres in length and effectively is tackled in two sections: 1) The narrow 5 km route up the valley; 2) a left turn and numerous sweeping switchbacks onto the LZ 10 road which catapult you upwards towards the welcome sight of the Restaurant Los Helichos atop the climb at an altitude of 580m. The average gradient of 5.5% stays very consistent throughout the climb with occasional ramps up to the 8% mark. 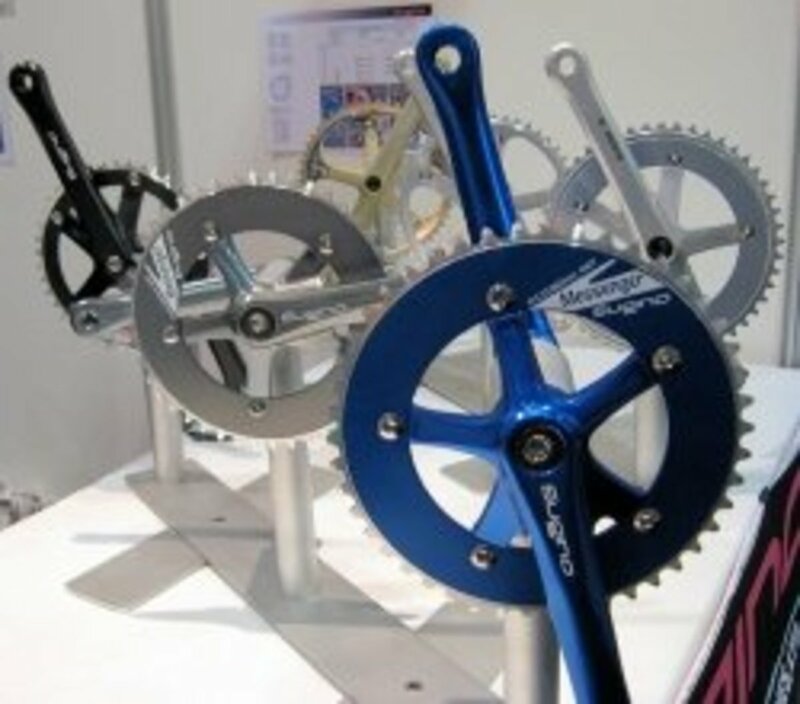 In terms of gearing most cyclists will find this climb well within their control with a 39 x 23-25 rear gearing, although in honesty the fitter riders will be able to hit this climb in the big ring or consider using it as part of an interval training session. Whilst talking at the bike shop in Costa Teguise with the owner I was quite surprised when he insinuated that the final section of the Femés climb was so steep that I would likely have to get off and walk. It puzzled me as my map certainly didn't indicate something with the kind of gradient I'd find back home cycling in the Lake District or Peak District. To many the Femés climb starts from the Island's southernmost resort, Playa Blanca, but it really starts to climb after the Papagayo roundabout, after you've passed the petrol station and treatment works where the gradient stays around 5-6% for the first 4 kilometres. The final kilometre of the climb after the Maciot island is what makes this a real challenge as the road ramps up around the final couple of hairpins to over 15%. I had no need to get off and walk but my legs were telling me that I definitely needed my 39 x 23 gearing as the brutal headwind hit me trying to push me backwards. 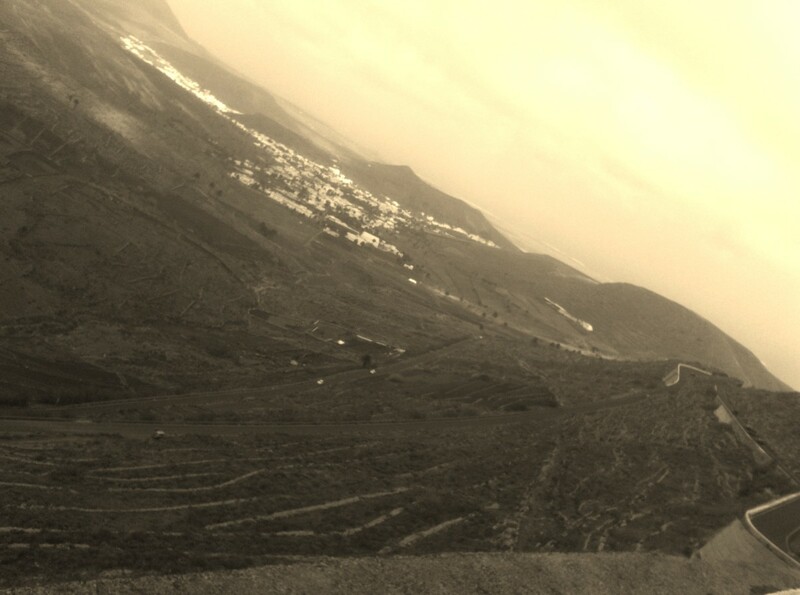 Arguably the most memorable climb for many a rider is the Mirador Del Rio. The climb feels like you're somewhere very remote at times and demands a head for heights as the Risca De Famara drops down dramatically to sea level off to your side. 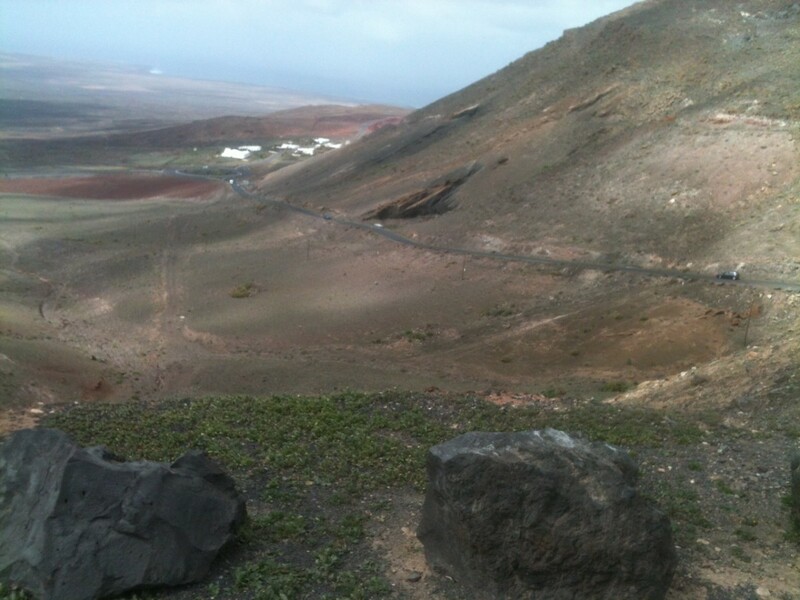 It's hard to say you've ridden Lanzarote if you haven't climbed up to the Mirador. The short climb of around 3 km will not be exceptionally taxing unless you're climbing it halfway around the Ironman Lanzarote event. Average gradient is around 3% although there are some sections which hit around 6% and you're often going to find a headwind hitting you in the face. You'll hit about 475m altitude by the top and might be tempted to visit the rather swanky looking observatory at the top. If you do: make sure it's a clear day otherwise you'll be wasting 4.50 euros. If you want to make the Mirador a good length climb, ride it as one with the Orzola climb featured below. 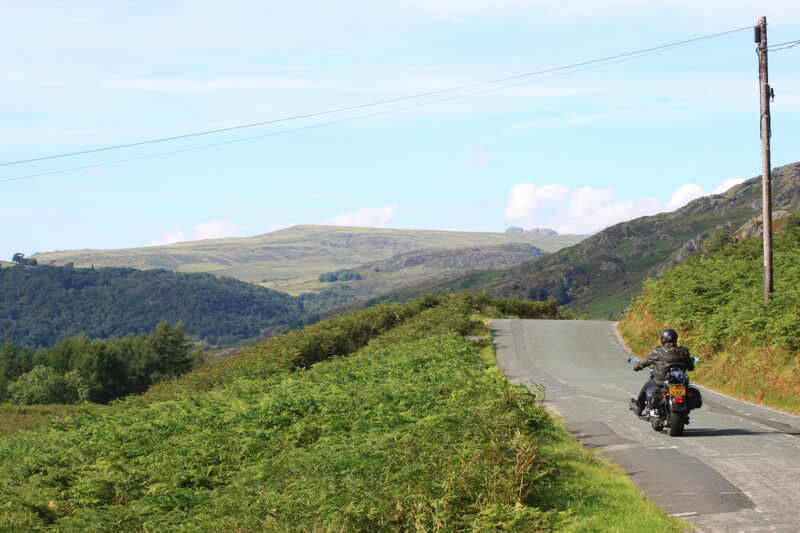 Writing on the road will egg you onwards on the climb and give you the impression that you're a pro rider. If you're staying in Playa Blanca or at La Santa, the popular Los Valles climb up to the Penas De Chache at the highest point on the island where the radio beacon is visible throughout much of the climb. 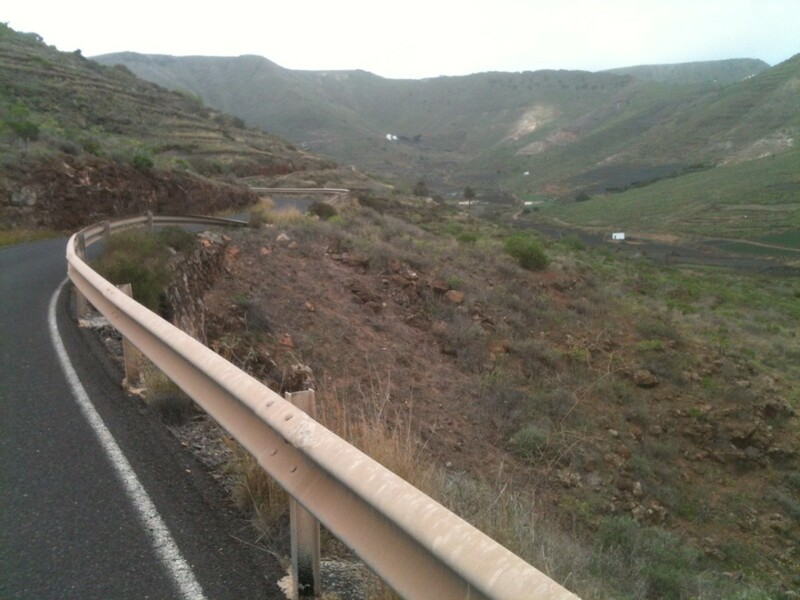 The climb itself starts a few kilometres after Teguise along the LZ 10 road, heading in a north-easterly direction after the road drops down into a lush green valley that provides a stark contrast to the lava fields of much of the island. The road snakes round and upwards through the picturesque village of Los Valles with views north towards the large weather station beacon atop the Penas del Chache at the highest point on the island and the wind turbines of the Parc Eolico. Then you reach a long, straight section where you feel as though you're on top of the island, going towards the Restaurant Los Helichos for the descent of Tabayesco. Whilst not exceptionally steep or hard, the Los Valles climb can become challenging due to facing up to that non-stop Lanzarote wind. The straight section beside the wind turbines of the Parc Eolico is very exposed to crosswinds so some care does need to be taken. At times I've riden the Low Valles climb in the big ring without too much hardship, and at others I've struggled into a challenging wind in the 39 x 23 gearing so can imagine other riders potentially needing something with a lot more range to make things easier so consider fitting a 12-25 cassette or similar prior to riding on the Island. The Climb of Los Valles is around 6 km in length so provides a good challenge to even a fit, race-ready cyclist and is featured on the Ironman Lanzarote Bike Course (PDF file). Heading South into the mountains from Orazola gives amazing views of the crater of the Montana Corona rising up to 611m. At the north of Lanzarote lies the small port of Orzola. The road south from Orzola features a truly beautiful climb, one of the best on the Island. The wind always seems to be on your back as you ride out of Orzola, making this climb much more pleasurable. The road itself slowly drags up to the small village of Casas La Brena with it's Aloe Vera museum, after which the hairpins start: all offering amazing views of the highest volcano on Lanzarote, the Montana Corona at 611 metres altitude. The climb up from Orzola is only about 5 kilometres in length but for added challenge riders can combine it with the Mirador De Rio to create an almost 10 km climb. By turning right at the end of the Orzola climb the LZ 201 snakes upwards towards Ye village where a rider can choose the first signpost for the most direct route up to the Mirador Del Rio which is a very rough rugged road surface, or follow the road through the village turning right after the village at the bus shelter to take the more scenic route up with views of the Isla Graciosa. Outsiders wouldn't think that Lanzarote is a hotbed of wine production but the fertile soils and mild climate make for an excellent culture of wine making in the area. 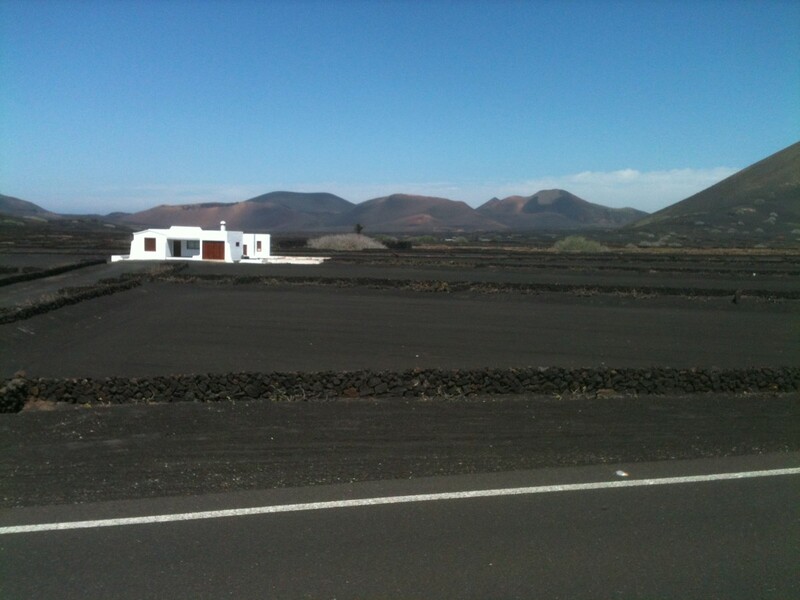 The key area for Lanzarote's wine makers is the La Geria region in the middle of the Island. The best way to climb up to La Geria is from Uga towards the south of the island. The road flows gently upwards towards the wine maker's offices and shops which appear a haven for day-tripping tourists and seem inviting for a rider to stop for a little sample. The landscape features black soils and the vines themselves are almost buried in protective craters which give the landscape an almost lunar edge. One of the best cycling routes on the island takes you to the North of the Island and the rugged yet beautiful Mirador del Rio. A must ride climb. Head North from Uga along the LZ 30 road and it snakes up through the vineyards of La Geria. 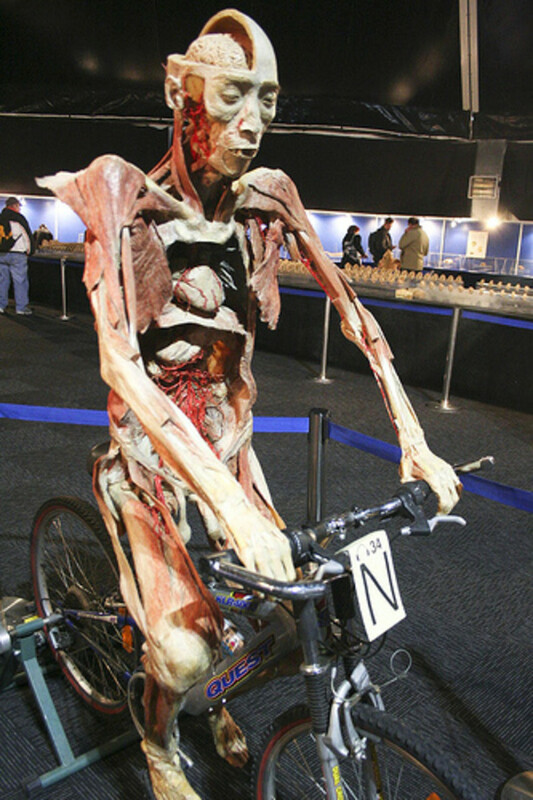 While cyclists are known for their slender, toned physiques, in reality this leanness hides a very guilty pleasure which often makes all those miles worthwhile. We absolutely adore coffee and cake. So having nailed some of the island's best climbs and cycling routes is a good excuse to reward yourself with a stop mid-ride at a nice cafe. 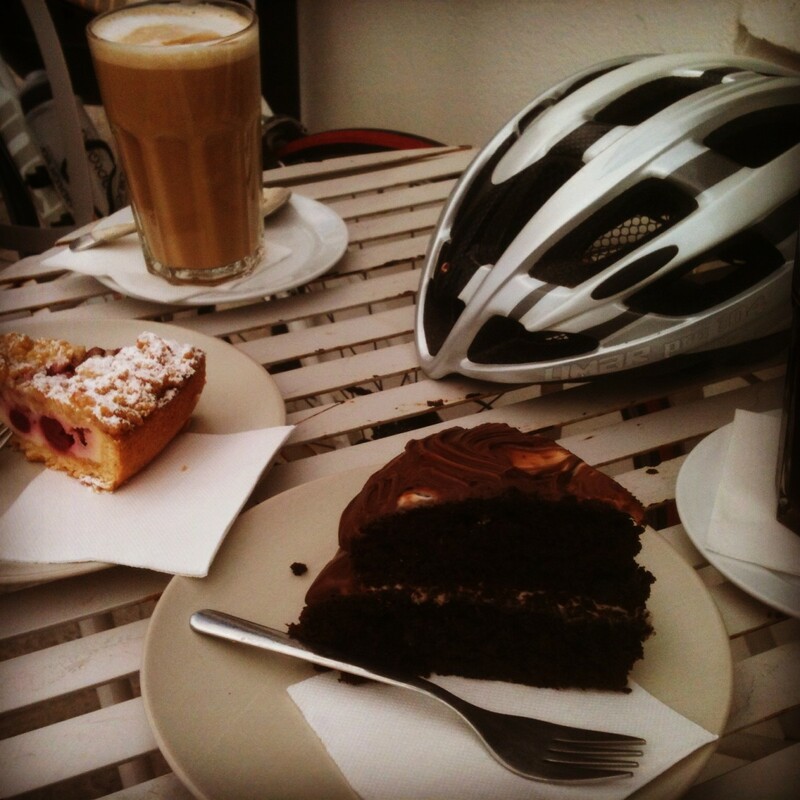 One of the best cafes for cyclists in Lanzarote has to be Jonnie Bakes in Teguise. They're located on the main LZ10 road in Teguise on the Avenida Gran Aldea between the Teguise Island and the turn up to the Pirate Museum at the Castillo Santa Barbara. They're an artisan bakery and cafe so expect some amazing creations. We sampled a beautiful sour cherry cake and white and milk chocolate cakes. My personal recommendation is their amazing pan au chocolat. They're in a fantastic location, on your way back to La Santa, Costa Teguise, Puerto Del Carmen and Playa Blanca, so there's no excuse to say you're not in the vicinity. For more info and some photos of the day's produce visit Jonnie Bakes on Facebook. 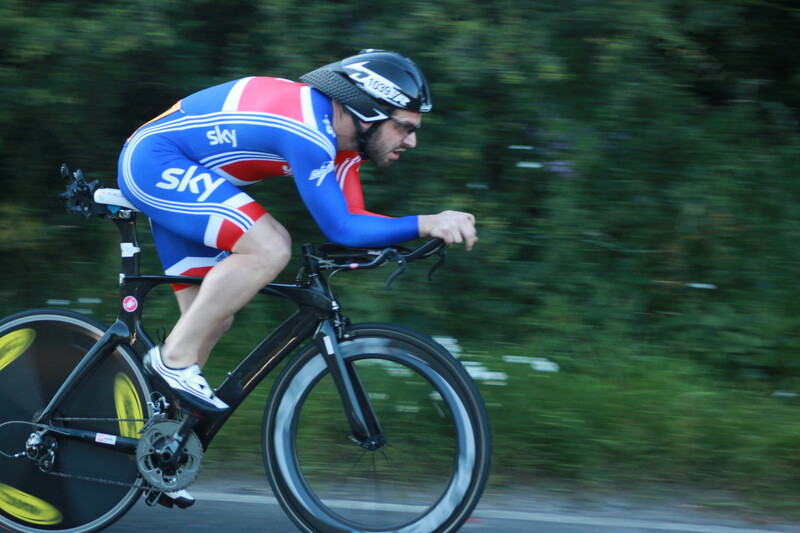 Looking for Some Help on the Ironman Lanzarote Bike Course? The Ironman Lanzarote bike course is amazing and arguably one of the most beautiful yet brutal Ironman bike courses you can take part in. If you're not going to be able to get out there before it gets to your race or you want to learn the course the people at tacx have developed an awesome Ironman Lanzarote Course Video to help your race performance. 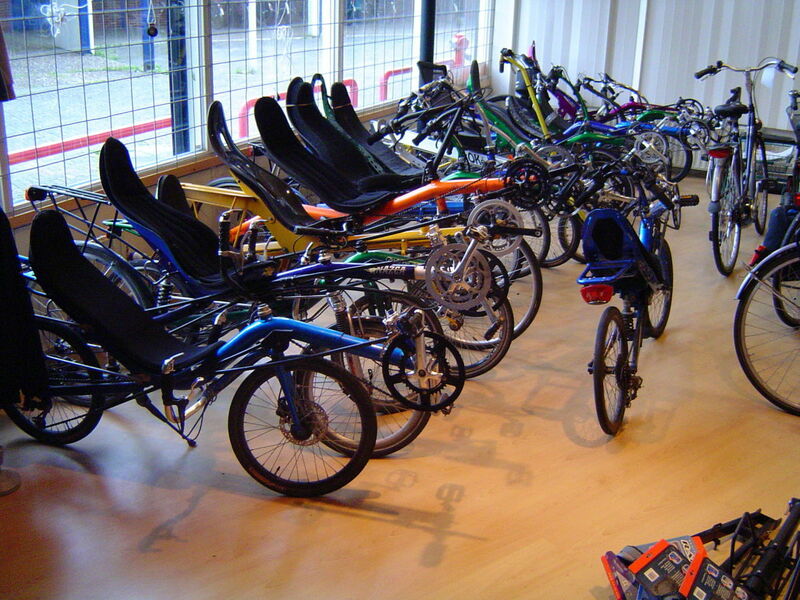 Have Your Ever Ridden Lanzarote? We'd love to hear what you thought about your experience on the island. 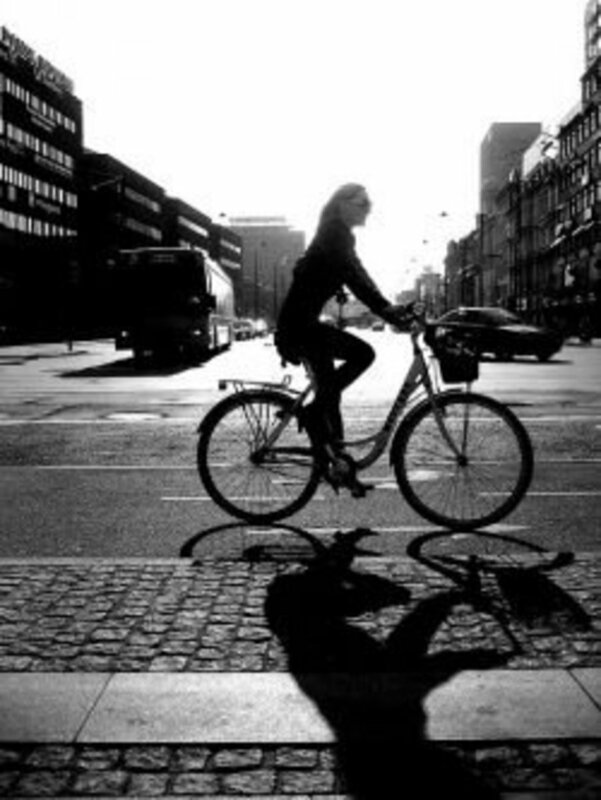 How did you cope with the strong winds and what were your favourite cycling routes in the comments tab below. What beautiful routes. I wish I had the money to take a quick vacation and ride them! That must be a thrill! What a great route. Thanks for bringing it to our attention.